While Twitter is a great social networking tool, it’s only effective if people are seeing what you’re tweeting. To get the most out of Twitter, you want to gain followers. The more followers you have on Twitter, the bigger your network becomes and the more people you reach. Unless you’re a famous celebrity, gaining Twitter followers can be a difficult task. So how do you get in front of the people that want to hear what you have to say? Below are some tips to gain Twitter followers. This is similar to real life networking or making friends. If you have something in common with another person, you’d want to talk to them in real life, right? The same thing goes for Twitter. If you follow a person with similar interests, they may follow you back. And their followers may follow you as well. Eventually, this can snowball into a bunch of people with similar interests following each other. You can use tools like TwitteRel to find people with similar interests. Give it a try! There are a ton of people on Twitter like you. Once you start following some people, don’t be afraid to join in on their conversations. Use @ reply to reply to their tweets, retweet (RT) to show you like what they said or direct message (DM) them. Let your followers know you are around. If you are rude in real life, no one is going to want to be your friend. If you aren’t a polite Twitter user, people aren’t going to want to follow you. Did someone retweet something you said? Don’t ignore them, thank them! A simple @ reply saying thanks lets them know you appreciate them helping you get the word out. Try to respond to direct messages in a timely manner. Responses don’t have to be formal (remember, you only get 140 characters) but if you wait a week to respond, the person that followed you most likely got the answer they were looking for from someone else. Twitter directories are lists of people that tweet about similar subjects and are a great way to help gain followers. 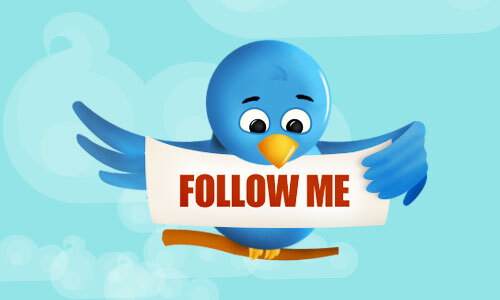 There are lots of Twitter directories out there, but the big ones we recommend are JustTweetIt and >WeFollow. There are lots of different ways to gain Twitter followers and the above are just some of the things you can do to help. What’s worked best for you? Don’t forget to follow @acfconsulting on Twitter!